Today you depart from the Sydney/Brisbane International Terminal on your Air New Zealand flight to Norfolk Island. Upon arrival Pinetree Tours will meet you at Norfolk Island Airport and transfer you to your accommodation. A fascinating evening of interactive theatre, intrigue & mystery. This entertaining play, examining the possible last movements and final whereabouts of the famous mutineer, Fletcher Christian, is dramatically acted out by a 6 character cast over a sumptuous 3 course dinner. This is a must for all visitors to Norfolk, visit Historic Kingston, Cascade, Longridge & much more. See & hear about the famous convict buildings, beautiful beaches & golf course, the renowned Melanesian Chapel, local Government, laws & lifestyle. Enjoy views from scenic spots on this full commentary conducted tour. Rest for delicious morning tea (optional and at own cost) in the garden of an historic island home built by Fletcher Christine & Matthew Quintal. Experience the culture of our forebears! From our Mutineer ancestors & their Tahitian wives came the arts of wood craft, weaving, cooking & our Norfolk language. 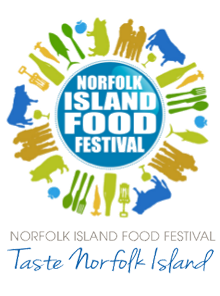 On this tour you see a woodturning demonstration using Norfolk timber & visit an Island home where you will learn about our cooking. An Island weaving weaving demonstration & a presentation on the Norfolk Ianguage will follow the afternoon tea break. Travel to Anson Bay to visit a small hobby farm, which has been instrumental in improving the local livestock industry. Close by see a demonstration at Norfolk’s major pottery and browse at the Cottage Pottery Shop. After a delicious morning tea at a scenic location, visit a beautiful private and commercial garden that supplies our local florist with stock. Exclusive to Pinetree Tours visit “Sweeties” and learn how chocolate is made on Norfolk. Enjoy a feast of Island dishes, salads, homemade bread and fresh fried fish, followed by Island desserts and tea / coffee. Watch the sunset from Norfolk’s beautiful western coastline. Two Norfolk Islanders, Donald & John, will share their knowledge of Norfolk’s unique marine life. Once you’ve ‘walked the plank’ with these ‘mutineer descendants’ it takes 60 seconds (yes one minute!) to be at the reef. View beautiful coral gardens & tropical fish inside the calm crystal waters of Norfolk’s lagoon. Donald & John provide full & interesting commentary on this environmental tour. Come and meet the cheeky goats and wander though the Edible Gardens whilst you learn about the milking and cheese making process. Then sit down to a delicious Hilli Goat style platter of freshly made Goats Cheese and edible delights that have been freshly picked from the back yard and you’ve experienced the Paddock to Plate way of life or “The Norfolk Way’. Enjoy a 3 course meal progressing to different Norfolk Island family homes. A fun night and a great way to meet the local people, & sample some of the Island dishes. Make your choice of a stroll through Hundred Acres Reserve or for the more energetic, a leisurely 3.5km walk through Mt. Bates to Captain Cook monument. At the end of the walks we meet on the cliff-top for a delicious breakfast barbeque. Go behind tourism and see a selection of local industries- the islands largest market garden & piggery, Helen Reddy’s aquaponics, a state of the art Kentia Palm nursery that exports to Europe, and a soft drink manufacturer & more exclusive venues. Refreshments provided. Join us on an in-depth tour of the historic Georgian settlement of Kingston. Walk through the cemetery & hear the history of interesting convict & colonial headstones, hear stories of the houses along quality row. Walk through the ruins of the new goal, see the Pier Store, Boat Shed and the Crank Mill. Afternoon tea included. A fun night out for all ages, dress as a convict & join with the commandant for an evening of feasting & singing. Great food, great fun (outfit supplied). *This is the most popular feature dinner on Norfolk. Join John & his Island staff – all direct descendants of the Bounty Mutineers; on an exciting 3 hour tour to points of Norfolk, accessible only by 4WD. This back of beyond tour takes you through private properties and the national park featuring spectacular scenery, native flora and bird life. It also includes delicious homemade cakes with tea & coffee at a beautiful Island home. Don’t expect a rough race through the scrub. Drivers are conscientious and very knowledgeable. All vehicles are comfortable modern 4WD’s. A great tour for everyone. Nightfall at Kingston brings a different mood to the convict settlement. The stillness and the stars are there just as they were before mankind arrived in 1788. However, with the dramatic use of real life sounds, theatrical lighting and costumed actors, the stillness is broken as Pinetree Tours takes you through the horrifying decades of Norfolk Island’s convict era. This flexible, multiple entry pass allows entry to four of Norfolk Island’s World Heritage Buildings. Explore at your own pace and discover the Island’s turbulent past and today’s living culture, or join the free tag-along tours. Time TBA Transfer to Airport by Pinetree Tours. Today it is bags packed, and we are transferred to Norfolk Island Airport for our Air New Zealand homeward bound flight to Sydney/Brisbane. This tour itinerary is a sample order and as such, is subject to change in order depending upon time of year taken and Tour Company schedule. Prices: Based on Twin Share: $2580.00 per person (Seasonal accommodation and airline specials are sometimes available which can reduce this price) for all of the above and inclusions below. Travelling alone? No problem! Contact us for sole occupancy pricing. All prices are subject to availability and price confirmation at the time of booking (packages are based on our airline seating and accommodation being available). Included In Your Tour Price! Return Airfares ex: Sydney or Brisbane to Norfolk Island, incl. all taxes ex: Australia. Dinner on four nights as per the above Itinerary. All touring included as per the above Itinerary. Travel insurance is separate and highly recommended. Please be advised a non-refundable deposit of $1,000 p/p ex Sydney or Brisbane (or $1500.00 p/p from other ports) is required to our office within 5 days of making a booking and final payment is due 2 months prior to departure. Please compare our inclusions, and you will see what great value for money we offer, and you will find it very hard to beat our products, pricing and service. Please note we can tailor make this package to suit individual travel plans, please contact our office so we can take your unique travel requirements into consideration. Contact us on 1800 724 400 or using the Contact Form below.